Now that the weather has (finally!) started warming up, I'm craving fewer bowls of hot soup and more cool salads. I've been especially jonesing for tabbouleh and knew I needed to make up a batch. I love traditional tabbouleh made with bulgur wheat; I love it even more when it is made with quinoa. It seems like quinoa is everywhere these days (restaurant menus, Pinterest boards, lunch boxes) and that's because it is is both nutritious and versatile. Its nutty flavor and delicate texture are great matched with the bright and fresh ingredients in this salad. Quinoa is also a great source of protein—so this can easily go from a side dish to a main meal just by changing your portion size. Notably, quinoa is a seed, although it's often used as a grain. 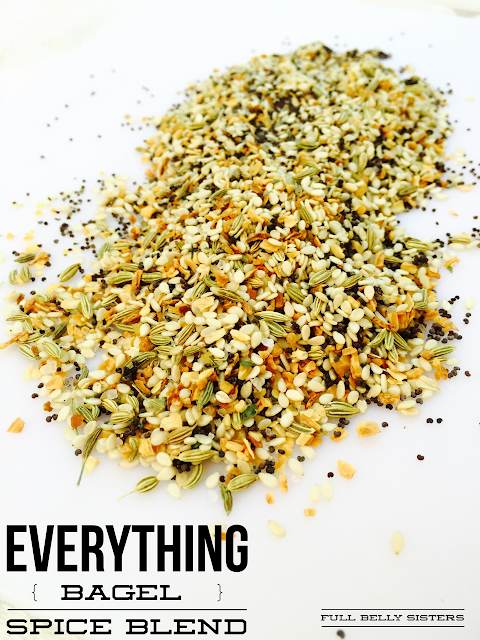 It's a fabulous ingredient for people on grain-free or gluten-free diets. There are lots of different types of quinoa; I used an organic white quinoa from Trader Joe's. 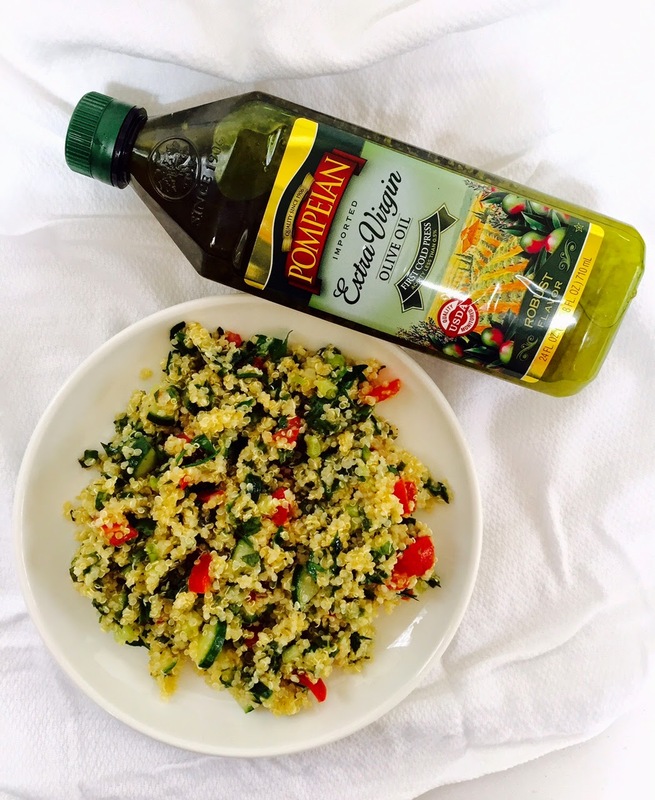 Pompeian sent me some of their Extra Virgin Olive Oil , and that's what I used in this dish. It's got a great herbaceous flavor that works especially well with the parsley and mint. Put the quinoa, water, and a couple pinches of salt into a medium sauce pan. Bring to a boil. Reduce to a simmer, cover, and cook for 10-15 minutes—until all the liquid is absorbed. While the quinoa is cooking, put the lemon juice and olive oil into a bowl. As soon as the quinoa is finished, put it into the bowl with the lemon and oil and another pinch or two of salt and stir; the heat will help the quinoa absorb the dressing. Once the mixture has cooled a bit (either to warm or to room temperature), fold in the rest of the ingredients. Taste and add more salt, if necessary. The salad is ever better after a day or two!